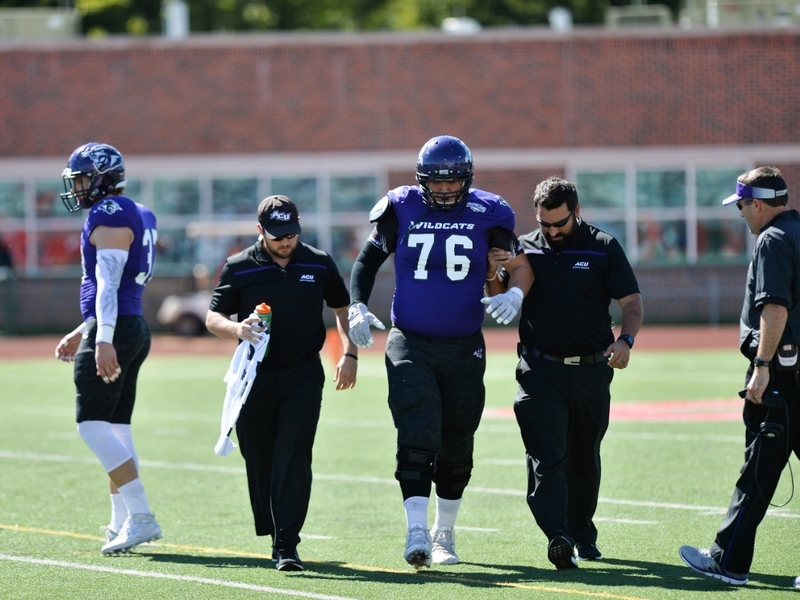 Applications are now open for ACU’s new Master of Athletic Training degree. ACU will offer a new graduate program within the Department of Kinesiology and Nutrition: a Master of Athletic Training (M.A.T. ), with courses beginning in June 2018. This 55-hour, entry-level master’s degree will be offered residentially in Abilene with a new cohort beginning in June every year. It includes an experiential learning component in fulfillment of the clinical experience requirement for each semester. Students also will have two four- to six-week immersion experiences working alongside an athletic trainer in which they are exposed to all aspects of the profession. The demand for athletic trainers across all practice settings is increasing, and the Bureau of Labor Statistics estimates the profession will grow 21 percent by 2022. Upon graduation from ACU’s M.A.T. program, students will be able to apply athletic training skills and knowledge in areas such as evidence-based practice, prevention and health promotion, clinical examination and diagnosis, acute care of injury and illness, and therapeutic interventions. The M.A.T. program at ACU offers a unique opportunity for students desiring to pursue an entry- level M.A.T. at a smaller NCAA Division I school. The program will provide students with academic course work, hands-on laboratory classes, and diverse clinical experiences, all while reinforcing Christ-centered values. Learn more about the Master of Athletic Training by visiting our website (http://www.acu.edu/graduate/academics/athletic-training.html) .